He has a wealth of both corporate and academic experience, ranging from the telecommunications and banking sectors to academic positions in Belgium, the Netherlands, Spain and France, to being a visiting professor in India, Russia, China and the US. He is currently Dean/ Director of the Graduate School of Business of the University of Cape Town, South Africa. Walter graduated in Econometrics and Operations Research at the University of Antwerp in Belgium and did postgraduate studies in Business Administration at Warwick Business School in the UK. He was awarded a PhD from the University of Warwick in Industrial and Business Studies and a Senior Doctorate (Habilitation) of Paul Cezanne University, Aix-Marseille III, France (on the quantum interpretation of innovation). 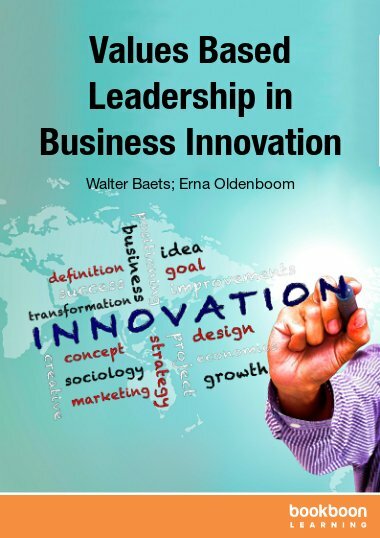 From the very beginning of his academic career, Walter developed a keen interest and research output in the consequences of complexity theory on management, leadership and innovation. He is a NRF (National Research Foundation of South Africa) rated researcher, with extensive experience in executive education. Walter has published more than 60 peer reviewed journal articles and has written and co-authored several books including, “Organizational Learning and Knowledge Technologies in a Dynamic Environment” with Kluwer Academic in 1998; “The Hybrid Business School: Developing knowledge management through management learning” with Gert Van der Linden in 2000; “Virtual Corporate Universities” in 2003; “Knowledge Management and Management Learning: Extending the Horizons of Knowledge-Based Management” in 2005; and “Complexity, Organisations and Learning: the quantum interpretation of business” in 2006. Recently he co-authored “Rethinking growth: social intrapreneurship for sustainable performance” with Erna Oldenboom (Palgrave MacMillan, 2009). His latest book, Leadership in Business Model Innovation, is the one you are reading now. Walter is also an associate editor for Information & Management and a member of the following: International Editorial Board of the Journal of Strategic Information Systems, the International Journal on Spirituality and Organizational Leadership, the International Journal of Complexity in Leadership and Management, and Systèmes d’Information et Management. Walter has been instrumental in two major initiatives at the Graduate School of Business: the Allan Gray Centre for Values Based Leadership and the Bertha Centre for Social Innovation and Entrepreneurship. He has also featured in various publications, including the Financial Mail, Financial Times, Mail & Guardian, Daily Maverick and has been awarded various accolades including, “Teacher of the Year Award” (Nyenrode University, NL) and “Award for Excellence” for the publication of an outstanding paper on “The Learning Organisation” (MCB University Press). Fluent in Dutch, English and French and well-versed in Spanish and German, Walter, his wife and 3 children have resided in five countries where he has immersed himself in various hobbies including scuba diving, flying, sailing, biking and Flamenco. Erna Oldenboom (Dutch) is a specialist in creativity, health and transformation. She has gained considerable experience in the wide area of human resources management and personal development within multinational companies. Based on a BA in Human Resources Management and an in-company MA in Organisational Design, Erna developed an expertise around organisational and personal development, as well as in (personal) coaching. She is a spiritual teacher of standing. Her corporate experience motivated her to broaden her horizon, when she observed first hand that personal development is highly multi-disciplinary. She became quality coordinator of a large Dutch multinational and was trained in the Baldridge method. She became an Ayurvedic massage therapist and continued her education in Ayurveda and health management with Deepak Chopra. Today she is a certified “Creating health teacher” of the Deepak Chopra Centre. She obtained an MPhil in Political Sciences (Peace and Conflict management) at the University of Granada (Spain), specializing in the use of non-violent communication and the impact that violent communication has on personal and individual development. She is a Certificated Transformational Game Facilitator (Innerlinks). She is a certified Reader and Healer and REIKI practitioner. Where Erna really makes a difference is in her exceptional listening capacity and her constant awareness for group’s interaction, what allows her to tailor any workshop on the spot. Erna has published in academic journals and presented on conferences, and she is now bringing her wisdom together in a PhD thesis around consciousness in organisations: “Towards the concept of a high health organisation”.